We are able to modify and upgrade any steering wheel on request to add realism, to make it stronger or just more esthetic. 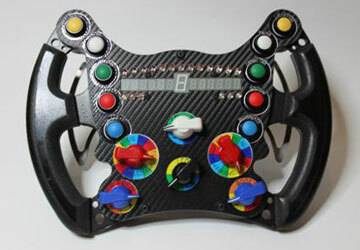 Possibility to add LED as on real steering wheels. Do no hesitate to contact us for any request for custom-made product.